Hyundai Motor Group, the world’s fifth-largest automotive group, is slated to begin construction of its new headquarters, dubbed the Global Business Center, in southern Seoul in the first half of this year, with the government moving to clear regulatory hurdles for the project that had hit a snag for years. Parc1 is expected to be completed in 2020. It is preparing to make a leap into the ‘urban space of culture’. It will be the fourth tallest building in South Korea following Hyundai Global Business Center, LOTTE World Tower, and Haeundae LCT. Parc1 is the largest single project ever undertaken by Sir Richard Rogers, who has been known for futuristic designs. The building is constructed to be a 72 story, with a 56 story office tower including a department store and a hotel with a total floor are 63,117m². It is 4.5 times the size of 63 building in Yeouido and is expected to become the biggest mall in the nation after being completed with the construction of the largest mammoth-class complex shopping space in Korea. Located in Haeundae’s popular beach, it consists of a 411.6 m, 101-floor supertall landmark tower and two 85-floor tall residential skyscrapers. It has an urban entertainment complex at the base housing a shopping mall, a hot spring spa, and a water park. The landmark tower will house luxury and residential hotels with a convention centre and an observatory. A U.S. resort complex equipped with a Paramount theme park will be built near Incheon International Airport in 2022. The Incheon International Airport Corporation on Thursday signed a business cooperation agreement with U.S.-based casino resort operator Mohegan Gaming and Entertainment’s special purpose company, Inspire, and Paramount Pictures. Paramount Pictures has produced movies like Star Trek, Transformers, Iron Man, How to Train your Dragon, Kung Fu Panda, Mission Impossible and Madagascar. The deal is for a project to develop an Inspire resort complex at the international business area of the airport to be nestled on land measuring nearly four-point-four million square meters. Two-point-eight trillion won will be injected into the resort, which will also have a multipurpose performance hall for K-Pop singers, a five-star hotel, a foreigners-only casino, and a convention center. Called Lionsgate Movie World, the development at Jeju Shinhwa – one of South Korea’s largest integrated resorts – will span 122,000sq m (1.3 million sq ft) and will be the largest Lionsgate attraction to date, with the venture being master planned, designed, and project managed by JRA. Expected to open in 2020, Lionsgate has partnered with Hong Kong-based developer Landing International Development, who selected JRA to recreate the world of The Hunger Games, with the park to include a recreation of the Capitol and President Snow’s mansion, and a horror-themed area based on the Saw and Cabin in the Woods films. Split into six zones total, other Lionsgate properties to feature include Twilight and Now You See Me. The park, which will be Lionsgate’s first branded outdoor theme park, will include a number of rides, attractions and 4D experiences, as well as streets and towns based on Lionsgate IPs. Each area will also include themed restaurants, cafés, souvenir shops and theatrical performances. The theme park will open with a fully themed Legoland Hotel, and will employ 1,600 people. Legoland Korea will be twice the size of Legoland Japan, biggest Legoland in the world. 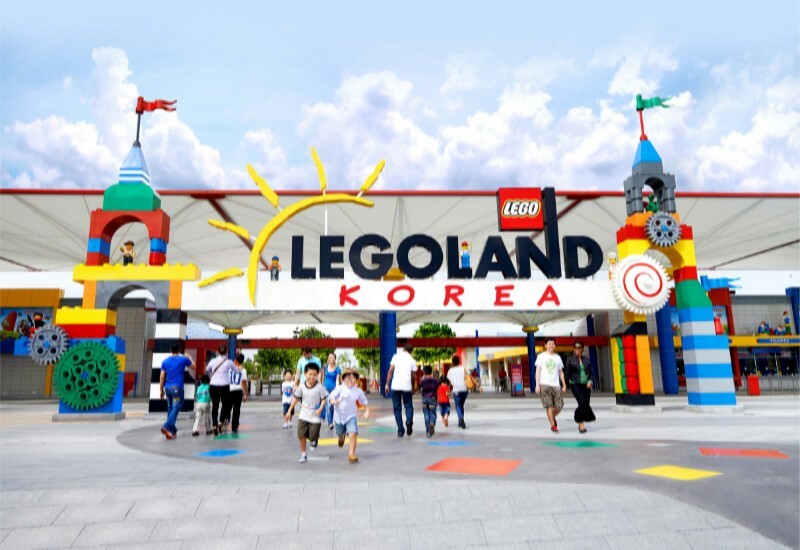 Legoland Korea will be situated on the island of Hajungdo in Chuncheon. It will be one hour east of Seoul, and within 2-hours of nearly 24 million people. The total cost of the resort is expected to be KRW 290 billion (£205 million). KRW 210 billion (£148 million) will be invested by Merlin, and the remaining KRW 80 billion will come from LL Developments, the investment arm of Gangwon Province. The park will be fully owned and operated by Merlin. 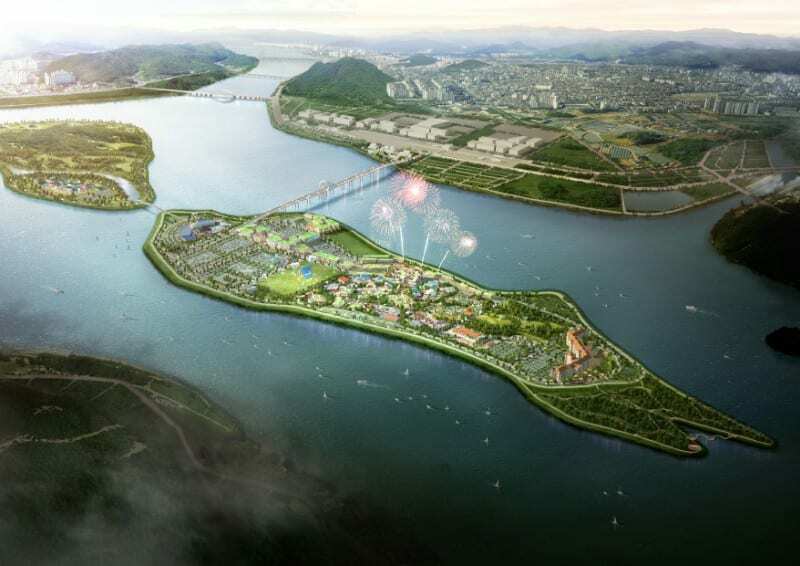 The East Busan Tourism Complex, also known as the Osiria Tourism Complex, is currently under construction in Gijang-eup at an investment of four trillion won. The project kicked off in 2006 and a total of 34 facilities, including a theme park, an aquarium, hotels and shopping malls, are scheduled to be housed in the complex with an area of 3.66 million square meters. 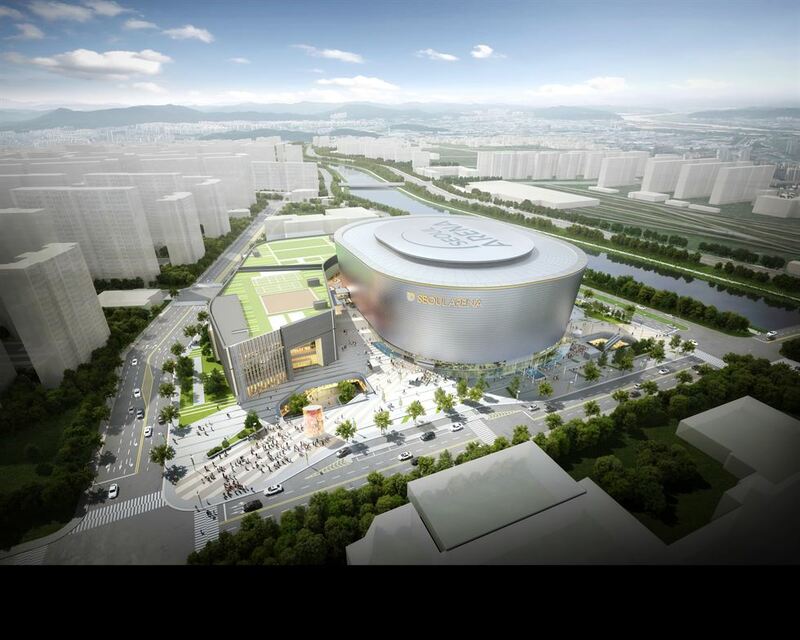 Seoul will open the country’s first K-pop arena in northern Seoul in 2024 to attract more foreign tourists. The construction of the arena will begin September next year near Changdong Station set to be completed by the end of 2023. The 18,000-capacity Seoul Arena will include a 2,000-seat concert hall, a K-pop Hall of Fame, a K-pop special exhibition hall and a theater.